Of the triangle, too, there are different explanations. 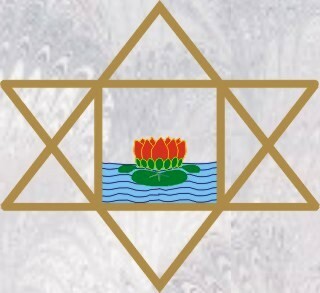 In one position it can symbolise the three lower planes, in another the symbol is of the three higher ones: so both can be combined together in a single sign. The ancients liked to indulge in similar speculations concerning numbers, but their systems were mostly mental. It is no doubt true that supramental realities exist which we translate into mental formulas such as Karma, Psychic evolution, etc. But they are, so to speak, infinite realities which cannot be limited by these symbolic forms, though they may be somewhat expressed by them; they might be expressed as well by other symbols, and the same symbol may also express many different ideas. (3) on the descent of the higher consciousness with its peace, light, force, knowledge, Ananda etc. into all the planes of the being down to the most physical. All this has to be done by the working of the Mother's force aided by your aspiration, devotion and surrender. That is the Path. The rest is a matter of the working out of these things for which you have to have faith in the Mother's working.